Biodiversity is essential for achieving sustainable development and meeting the Millennium Development Goals (MDGs), according to experts attending a major conference. Organized by the French Government and sponsored by UNESCO, the International Conference on “Biodiversity: Science and Governance” was convened to contribute to the ongoing global effort to reverse the current rate of biodiversity loss by 2010. Meeting participants adopted two documents, the Paris Declaration on Biodiversity and the Conference Statement. 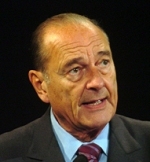 In response to a proposal made by French President Jacques Chirac, the Statement recommends launching an international multi-stakeholder consultative process to assess the need for an international mechanism that would provide a scientific assessment of information and policy options required for decision making, building on existing bodies and activities. IISD Reporting Services coverage of this meeting. The Bureau of the 13th session of the UN Commission on Sustainable Development (CSD-13) has finalized the organization of work for the upcoming Intergovernmental Preparatory Meeting and the CSD-13 main session. During its fourth meeting, the CSD-13 Bureau agreed to feature a panel discussion during the high-level segment on the MDGs relating to water, sanitation and human settlements. The ENB briefing note. The “country-led initiative in support of the United Nations Forum on Forests (UNFF) on the future of the international arrangement on forests (IAF)” convened to elaborate the critical elements that countries would like to see included in a future IAF, and to provide an informal contribution that will help provide a basis for the decision concerning the future of the IAF that will be taken at UNFF-5 in May 2005. The Sustainable Developments report. The importance of balancing water for food and ecosystem needs was underscored at a recent conference. Organized by the FAO and the Dutch Ministry of Agriculture, Nature and Food Quality, the Water for Food and Ecosystems Conference was convened to identify successful processes that lead to best practices for achieving land and water development through integrated water resources management with an ecosystem approach. IISDRS coverage of this meeting. The question of when climate change could become “dangerous” was discussed by experts attending a major scientific symposium in England. The International Symposium on the Stabilisation of Greenhouse Gases – Avoiding Dangerous Climate Change was sponsored by the UK Department for the Environment, Food and Rural Affairs at the request of British Prime Minister Tony Blair. This event sought to advance scientific understanding of and encourage scientific debate on the long term implications of climate change, the relevance of stabilization goals, and technological options to reach such goals. Combating global poverty and climate change were two major topics taken up at the 2005 World Economic Forum, which convened under the theme “Taking Responsibility for Tough Choices.” Among the key events that kicked off the Forum was a Global Town Hall meeting that identified six key priority issues facing the global community: poverty, equitable globalization; climate change; education; the Middle East; and global governance. Meanwhile, at the World Social Forum (WSF), held from 26-31 January in Porto Alegre, a Manifesto was developed by 19 high-profile WSF activists. The meeting of G7 Finance Ministers and Central Bank Governors addressed a wide range of issues, including trade, debt, aid, energy, the MDGs, and new proposals for financing development. Forging partnerships and enhancing dialogue for more effective development cooperation were the focus of a recent meeting held in Paris. The first regular session of the UNDP/UNFPA Executive Board concluded with the adoption of 14 decisions on, inter alia, the UNDP global programme, 2005-2007; the UNDP corporate gender strategy and action plan; and options for a future business model for the UN Capital Development Fund. The fourth Assembly of the African Union adopted decisions relating to HIV/AIDS, food security, human and peoples’ rights, conflicts in Côte d’Ivoire, DR Congo, Sudan and Somalia, as well as the Protocol on Non-Aggression and Common Defense Pact of the African Union. “Steering development towards global sustainability” was the focus of a major conference held recently in New Delhi, India. An international conference was held in view of the UN Decade of Education for Sustainable Development (2005-2014) with discussions on education and sustainability. Options to improve water policies and legislation for rural Africa were the focus of a recent workshop held in Johannesburg. A meeting of experts on GM organisms has resulted in recommendations on methodologies to monitor GM crops. Forests have a useful role to play in reaching many of the MDGs, according to a panel of experts. Central Africa’s political leaders have signed a treaty aimed at protecting the African rainforest. At the end of January, the General Assembly held discussions on the report of the Secretary-General’s High-level Panel on the challenges facing the United Nations. Linkages Update (LU) is our means of keeping you informed of what’s happening in the international environmental and sustainable development world. LU highlights what's new on IISD Reporting Services' Linkages website. This "what's new" page is updated on a fortnightly basis, while the website continually posts new information provided by our contributing writers. If you wish to submit relevant materials or subscribe to Linkages Update, e-mail prisna@iisd.org. Former US President Bill Clinton will be UN Secretary-General Kofi Annan’s Special Envoy for Tsunami-affected Countries. The formal announcement of the appointment will be made in March. Clinton is currently working with former President Bush on fundraising efforts in the US, and plans to visit the tsunami-affected region with senior Bush in February. 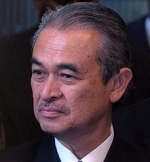 John Kaputin (Papua New Guinea) will assume his new position as Secretary-General of the African, Caribbean and Pacific (ACP) Group of States on 1 March 2005. Kaputin was elected by the ACP Council of Ministers in early December 2004 to the position currently served by Jean-Robert Goulongana (Gabon), whose term of office and that of the current Assistant Secretaries-General will expire on 28 February 2005. UNEP ADVERTISES SENIOR PROGRAMME OFFICER POSITION: Nairobi; P-5; 28 March 2005. P-3 due 27 March; P-4 due 28 March. HEAD OF UNEP CHEMICALSVACANCY: Geneva; D-1; 14 March. European Fisheries Campaign Manager for Global Marine Programme; Gland; 11 February. Fisheries Officer on European fisheries subsidies; Brussels; 25 February. GLOBAL WATER PARTNERSHIP SEEKS TOOLBOX PROJECT OFFICER: Stockholm; 20 February. INTERNATIONAL FERTILIZER INDUSTRY ASSOCIATION SEEKS TECHNICAL COMMITTEE EXECUTIVE SECRETARY: Paris; 15 February. WWF SEEKS HIGH SEAS ADVOCACY OFFICER: Gland; 11 February. GREENHOUSE GAS ABATEMENT SCHEME GENERAL MANAGER VACANCY: Sydney; 11 February. RESOURCES FOR THE FUTUREOPENINGS: Corporate and Foundation Relations Manager, and Energy and Natural Resources Research Assistant; Washington, DC. DEFENDERS OF WILDLIFE SEEKS ASSOCIATE INTERNATIONAL COUNSEL/WILDLIFE TRADE CAMPAIGNER: Washington, D.C. The Helsinki Process on Globalization and Democracy released reports from its three Track Groups at the World Economic Forum in Davos, and World Social Forum in Porto Alegre. The Helsinki Process, established by Finland and Tanzania in December 2002, aims to promote democracy and equality in international relations by promoting the involvement of Southern perspectives and civil society in forming global policies. Sweden inaugurated its Ministry of Sustainable Development on 1 January 2005, while concurrently terminating its Ministry of the Environment. Two agricultural research centers have formed an alliance aimed at boosting international efforts to fight poverty and strengthen food security in developing countries. The European Commission is seeking views from stakeholders concerning issues that should inform the revision of the current European Community development policy. World Trade Organization members have heard introductory speeches from the four candidates seeking to be the next director-general. The European Commission recently adopted a communication outlining elements of its possible post-2012 climate change policies. The Communication includes a set of proposals designed to structure the future negotiations of the EU with its global partners over climate change policies after 2012 when the first commitment period under the Kyoto protocol ends. The international community is set to celebrate the imminent entry into force of the Kyoto Protocol as a legally-binding treaty. On 16 February 2005, the Kyoto Protocol will become an officially-recognized treaty, with dozens of meetings, debates and other celebratory activities planned by government agencies, international organizations and other groups to mark the event. Results from a major climate forecasting project have raised fears that temperatures could rise by twice the amount previously predicted. A number of disagreements have reportedly arisen in the scientific community in recent weeks. Flights over the Americas are set to burn less fuel and produce less pollution as a result of a new deal to cut the vertical distances between aircraft. The Theodor-Heuss Foundation has announced the recipients of the 2005 Theodor-Heuss prize. The 2004 Dubai International Award for Best Practices to Improve the Living Environment was also recently presented to 10 recipients. The United Kingdom assumed the Presidency of the G8 on 1 January 2005. British Prime Minister Tony Blair has indicated that the focus of the Presidency will be on the challenges of Africa and on climate change. The European Commission’s second annual Environment Policy Review (EPR) was released in January 2005. The EPR highlights the main developments in environmental policy at EU and Member State level in 2004 and indicates the main issues to come up in 2005. A landmark agreement between six indigenous communities from Peru and the International Potato Center has recognized the rights of indigenous communities over locally-developed potato strains and associated traditional knowledge. Scientists and representatives of intergovernmental organizations have signed a declaration designed to improve the management of natural ecosystems to mitigate natural disasters. Countries throughout the world have honored World Wetlands Day by designating sites for inclusion on the Ramsar List of Wetlands of International Importance. World Wetlands Day, which is held every year on 2 February, marks the adoption of the Ramsar Convention on Wetlands on 2 February 1971. (World Bank, February 2005) This report is the first sustainability review released by the World Bank. It describes the Bank’s activities in support of the environment, social development, and good governance. The report is organized in three parts, the first providing an overview of the Bank’s operations and governance structure, and how environmental and social issues fit into the broader context of the Bank’s work. The second part highlights the Bank’s corporate environmental and social footprint, followed by an outline of the Bank’s operational and corporate commitments for the near future. (Oxford University Press, February 2005) Written by Marie-Claire Cordonier Segger and Ashfaq Khalfan, this book analyzes recent developments in international sustainable development law, with the aim of providing a coherent approach that can address conflicts and overlaps between international economic, environmental, and social law. It surveys international law relevant to sustainable development, discusses proposed principles, offers case studies that examine innovative aspects of key international instruments, and reflects on future legal research agendas. (Earthscan, January 2005) Written by Rosalie Callway, Jan McHarry, Janet Strachan and Georgina Ayre, this book seeks to help promote public understanding of the agreements arising from the World Summit on Sustainable Development, and to make the decisions contained in the Johannesburg Plan of Implementation as comprehensible to as wide an audience as possible. (Wuppertal Institute for Climate, Environment and Energy, 2004) This publication presents six case studies that involved a combined approach to water and energy. Each case study reviews the related technology, sustainability, financial issues, obstacles and replicability, with the intention of promoting the particular approaches used. (Blackwell, January 2005) Authored by Peter Brandon and Patrizia Lombardi, this book provides an introduction to the issue of evaluating sustainable development and suggests techniques that enable progress to be assessed. Earthscan recently launched its new website, which includes free articles, features, abstracts and reviews from Earthscan magazines, books and journals. Earthscan is also offering a 10% discount on all books to celebrate the launch of its new site. (GEF, 2004) This GEF publication was produced with the aim of contributing to discussions at the International Meeting to Review the Implementation of the Programme of Action on Small Island Developing States (SIDS) held in Mauritius in January 2005. The publication, which is also available in French and Spanish, highlights the GEF’s work with SIDS on the GEF focal areas and outlines its priorities for SIDS over the next five years. (UNEP/SIWI, 2005) UNEP Finance Initiative (UNEP FI) and Stockholm International Water Institute (SIWI) have released the results of a joint project on water-related challenges for financial institutions. In the report, UNEP FI and SIWI highlight the issues that arise from dealing with water scarcity and identify opportunities for the financial sector to contribute to sustainable development through active engagement in mitigating water-related risks. The report concludes that there is a clear benefit for financial institutions in incorporating water scarcity risk assessment into financial products and services. As for governments and policymakers, the report highlights the importance of the institutional and managerial capacity for water governance as a factor in producing water scarcity risks. (IUCN, 2005) IUCN–The World Conservation Union has released a guide designed to assist field teams and monitoring programmes to collect relevant data on tsunami damage to coral reefs and promote comparisons of data from local to national to regional levels. The guidelines are intended for use by people with experience in coral reef monitoring or underwater observation. The website of UNESCO’s Institute for Water Education (UNESCO-IHE) answers questions such as how much water is required to sustain our consumption patterns, what is the impact of our diet on the globe’s water resources, and how do we reduce our individual “water footprint.” The website provides definitions of concepts, research results, downloadable publications and links to other relevant websites. A “water footprint calculator” will be available to enable people to estimate their own water footprint. (ICLEI, December2004/February 2005) The International Council for Local Environmental Initiatives (ICLEI) will launch a guide on clean development mechanism (CDM) opportunities for local governments on 16 February 2005 - the day the Kyoto Protocol enters into force. This publication was first released at COP-10. Published in Portuguese and Spanish, the publication contains an overview on climate change and the Kyoto Protocol’s flexibility mechanisms, with a focus on CDM opportunities. (OECD, January 2005) This annual OECD report underscores the need for more effective aid in order to reach the MDGs. The report notes that while development aid from OECD countries increased in 2003, most of the increase arose from inflation and exchange rate fluctuations. The report calls for improving aid procedures, practices and policies to achieve better development outcomes. The report also contains a special feature on the need for more aid in the area of water and sanitation, noting that donors are committing less to the water sector than in previous years and that most of the funding has gone towards financing urban infrastructure in middle income countries rather than assisting marginalized communities in need of clean water. (OECD DAC, December 2004) This report underscores the need for pro-poor growth to meet the MDG on poverty, and is premised on the basis that support for private sector development is necessary to achieve this growth. The report seeks to help development practitioners understand the factors relevant to pro-poor growth and the processes needed to bring about such growth. Chapters address issues such as mainstreaming private sector development in PRSPs, and the role of donors in supporting private sector development. (UNCTAD 2005) Published by the UN Conference on Trade and Development (UNCTAD) and the UN Department of Economic and Social Affairs (DESA), this report examines the global economic situation leading into 2005. According to the report, 2004 saw a 4% increase in growth of gross world product (GWP), compared to 2.8% in 2003 and a forecast of 3.25% for 2005. The report highlights the slow growth of employment and the persistence of high rates of unemployment and underemployment in most developing countries as “universal weaknesses” in the world economy, and states that poverty reduction will continue to be evasive unless improved economic growth is reflected in increased employment. While noting many positive aspects in the current world economy for developing countries, the report also notes that few countries in Africa “grew by more than the 7 per cent that is deemed necessary to attain the UN MDGs” in 2004. (IUFRO, 2005) The International Union of Forest Research Organizations (IUFRO) has relaunched its website and IUFRO News publication, which is produced 10 times a year. (Greenomics Indonesia and WWF, January 2005) This study assesses Aceh’s timber needs for reconstruction and repair of housing, office buildings, schools, hospitals, houses of worship and the fishing fleet following the tsunami disaster. The authors recommend the use of imported, sustainably-produced timber to avoid clearing hundreds of thousands of Indonesian forests. They also suggest that some of the aid already pledged by donors for the reconstruction of Aceh should be given in the form of timber. 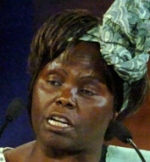 (UNIFEM, January 2005) This UNIFEM publication examines the gender dimensions of the MDGs through the lens of the Convention on the Elimination of All Forms of Discrimination Against Women (CEDAW) and the implementation of the 1995 Beijing Fourth World Conference of Women – the two global processes relevant to women and gender issues. Prepared ahead of the ten-year review of progress in implementing the Beijing Platform for Action, the publication highlights how CEDAW, the Beijing process and the MDGs are mutually supportive, and recommends resources and entry points for engagement. The Beijing+10 review process will take place at the 49th session of the UN Commission on the Status of Women from 28 February to 11 March 2005. (World Bank and Oxford University Press, 2004) Edited by J. M. Finger and P. Schuler, this book contains contributions from several authors, and aims to highlight a broader range of knowledge that has commercial potential in developing countries. Rather than addressing legal issues, the book brings an economic dimension into the consideration of traditional knowledge, demonstrating that the best “answer” is sometimes a commercial one. (World Bank, October 2004) Authored by R. R. Ortiga, this paper discusses indigenous land rights with the aim of informing policy and legislative developments. The paper addresses the existence of land rights and land titling systems across Latin America, demonstrating that land is not only a physical asset with economic and financial value, but also an intrinsic dimension and part of peoples’ lives and belief systems. It contains chapters on: the history of indigenous legal treatment in Latin America; land tenure regimes in selected countries of Latin America; common problems in the legal framework for recognition of indigenous lands; and case studies in indigenous land tenure and implications for natural resources. (Friends of the Earth International, January 2005) Released at the recent 2005 World Social Forum, this report documents the negative social and environmental impacts of water and biodiversity privatization through 34 case studies from around the globe. The report points out that indigenous peoples and local communities in poor countries are losing their lands, which are handed over to logging, tourism and private park management companies. It further notes that the privatization trend is stimulated by the growing market of so-called carbon parks, developed to offset carbon emissions. In addition, the report focuses on the granting of patents over life forms and traditional knowledge. (IUCN, 2004) Authored by G. Borrini-Feyerabend, A. Kothari, G. Oviedo et al., this report provides guidance on policy and practice for co-managed protected areas and community-conserved areas, exploring approaches and models that see conservation as fully compatible with human communities. Drawing on recent experiences and best practices from around the world, the authors offer a menu of options that stakeholders can choose from and adapt to their circumstances. The report includes chapters on: the necessary background to understanding the evolving relationship between communities and protected areas; co-managed protected areas that are established with the approval of governments and subject to co-management regimes that involve indigenous and local communities; community conserved areas that are established and managed by indigenous and local communities; and the policy context for protected areas. (European Commission, 28 January 2005) The European Commission has released its strategy on mercury. Designed to protect citizens’ health and the environment, the plan proposes a series of actions to reduce mercury emissions, including a ban on mercury exports by 2011. The strategy proposes ways to reduce demand, deal with surpluses, cut emissions, protect against exposure, and improve knowledge and awareness. The strategy also proposes an initiative to reduce mercury supply internationally, including a global phase-out of new mercury production. The strategy further proposes prohibiting the marketing of measuring devices containing mercury for consumer use and health care. (World Bank, January 2005) The World Bank’s Environment Department has produced a Dissemination Note on waste management guidance. The publication identifies resources available to World Bank teams in assisting clients to dispose of waste in an environmentally-sound manner. It highlights provisions of the Basel, Stockholm and Rotterdam Conventions and identifies handbooks and other resources containing further information and guidelines. on environment and sustainable development policy.